Kelly always stepped into her airplane with complete self-confidence, because she knows she can fly like an ace. But this time she had a premonition – a premonition that was nearly fulfilled when an unexpected manoeuvre at the landing left her physically and emotionally crippled. Psychiatrist Daniel Fraser has an impressive reputation and unorthodox methods. Little by little he tries to uncover the origins of Kelly’s torment. Is it the bloody coup d’état she lived through? The sudden loss of her beloved Ray, the handsome son of Surinamese-American parents, whose helicopter disappeared without trace in the jungle? Or is the pain related to ghosts from the past? Together with Fraser, Kelly peels off layer after layer of her self-protective armour and learns to cope with her traumas. 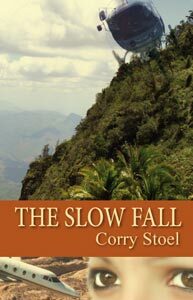 In this psychological novel Corry Stoel sketches a world of adventure, love, desire, sadness, faithfulness, consolation and hope. In a convincing manner she weaves the web of the life of a woman, who is faced with agonising choices. The beautiful, profound dialogues, the ingeniously constructed story with constant surprises and the conviction with which the characters are brought to life, make this a book that is irresistible and fascinating right until the last page. About the author: Corry Stoel was born in the Netherlands. 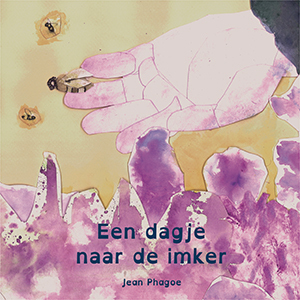 She studied languages at the University of Amsterdam and worked as a freelance journalist and photographer for several well known Dutch publications. Her photographs merited an honourable mention from World Press Photo and the Silver Camera.